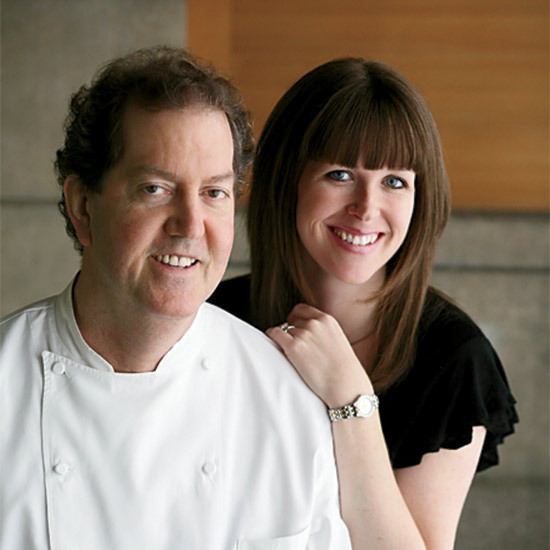 In the middle of May, Tim and Nancy Cushman of O Ya in Boston will open Roof at Park South in the Flatiron District. For years I’ve been quietly jealous of Boston’s food scene. Of course, New York City is the country’s best restaurant city. But Boston had several places we didn’t, including Toro, and o ya, the remarkable New England–accented Japanese restaurant with F&W BNC 2008 Tim Cushman and his wife, Nancy, at the helm. Now NYC’s best restaurant credentials are even stronger. Toro is on fire in Manhattan’s Meatpacking District since opening late last fall. And then recently, I got a call from Tim and Nancy. “We’re coming to New York! !” they said. “Hurray!!! !” I screamed. In the middle of May, the Cushmans will open Roof at Park South in the Flatiron District. As the name suggests, it’s a rooftop bar at the Park South Hotel on East 28th Street. Tim, who used to travel around the world researching restaurants for Lettuce Entertain You, will serve his version of drink-friendly Mediterranean-inspired bar bites—think crudos and skewers. Former No. 9 Park mixologist Ted Kilpatrick will oversee the bar, which will boast some fantastic cocktails and a concise but great list of bubbly and wine. Fireplaces and palm trees will decorate the roof. Is there a New York branch of o ya in the future as well? Let’s hope so. What’s for sure now is that I’ll soon be able to have Tim Cushman’s food close to home. And he’ll be preparing dishes unlike anything he makes up in Massachusetts, drawing on inspiration from the time he spent cooking in Italy, France and other cool countries around Europe. Way to go, NYC.